The authors present a problem of queuing theoretic performance modeling and analysis of Orthogonal Frequency Division Multiple Access (OFDMA) under broadband wireless networks. They consider a single-cell WiMAX environment in which the base station allocates sub channels to the subscriber stations in its coverage area. The sub channels allocated to a subscriber station are shared by multiple connections at that subscriber station. To ensure the Quality of Service (QoS) performances, a Connection Admission Control (CAC) mechanism is considered at a subscriber station. A queuing analytical framework for these admission control mechanisms is presented considering OFDMA-based transmission at the physical layer and based on the queuing model; both the connection-level and packet-level performances are studied and compared with their analogues in the case without CAC. The connection arrival is modeled by a Poisson process and the packet arrival for a connection by a Markov Modulated Poisson Process (MMPP). Several performance measures, namely connection blocking probability, average number of ongoing connections, average queue length, packet dropping probability, queue throughput and average packet delay, are then derived and quantified. Worldwide Interoperability for Microwave Access (WiMAX) (IEEE, 2005) presents a very challenging multiuser communication problem – many users in the same geographic area will require high on-demand data rates in a finite bandwidth, with low latency. Multiple access techniques allow different users to share the available bandwidth by allotting each user some fraction of the total system resources. Experience has shown that dramatic performance differences are possible between different multiple access strategies, for example the lively CDMA vs. TDMA debate for cellular voice systems went on for some time in the 1990s. Due to the diverse nature of anticipated WiMAX traffic (VoIP, data transfer, and video streaming), and the challenging aspects of the system deployment (mobility, neighboring cells, high required bandwidth efficiency), the multiple access problem is quite complicated in WiMAX. The implementation of an efficient and flexible multiple access strategy is critical to WiMAX system performance. As specified in the standard, WiMAX employs OFDM technology in its PHY layer to support mesh and point-to-multi-point (PMP) networks. In fact, IEEE 802.16 has defined two types of OFDM systems: OFDM and OFDMA. OFDM is a multi-carrier modulation technique, whereas OFDMA is a multiple access scheme, in which data streams from multiple users are orthogonally multiplexed onto downlink (DL) and uplink (UL) subchannels/subcarriers. OFDMA-based WiMAX system employs a larger fast Fourier transform (FFT) size (2048 and 4096 subcarriers) that is further divided into subchannels. The subchannels are introduced to separate the data into logical streams in DL. Those streams may employ different modulations, coding schemes, and amplitude levels to address subscribers with different channel characteristics. The subchannels also are used for multiple accesses in UL. In practice, the subscribers are assigned to subchannels through media access protocol (MAP) messages sent in downstream. OFDMA also enables smart antenna operations to be performed on vector-flat subcarriers based on smart antenna technologies that typically involve complex vector or matrix operations on signals due to the use of multiple antennas. OFDMA-based WiMAX air interface supports both time division duplex (TDD) and frequency division duplex (FDD) modes in its PHY layer. For TDD mode, the system transmits the data frame-by-frame, and each 5-ms frame consists of a DL subframe and an UL subframe to prevent collisions between DL and UL transmissions. 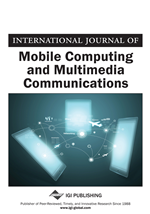 Adaptive modulation, fast channel feedback and link adaptation, coding, and asynchronous hybrid-automatic repeat request (H-ARQ) in DL and UL are used in the mobile W MAX air interface to enhance its coverage and capacity. Different modulations (e.g., quadrature phase shift keying (QPSK)), channel coding schemes (i.e., convolution code (CC) and convolution turbo code (CTC)), space time block coding (STBC), and spatial multiplexing (SM) also are supported in mobile WiMAX TDD mode. Some of the scalability features of the PHY layer in TDD mode of mobile WiMAX are summarized in Table 1 (WiMAX Forum, 2006).